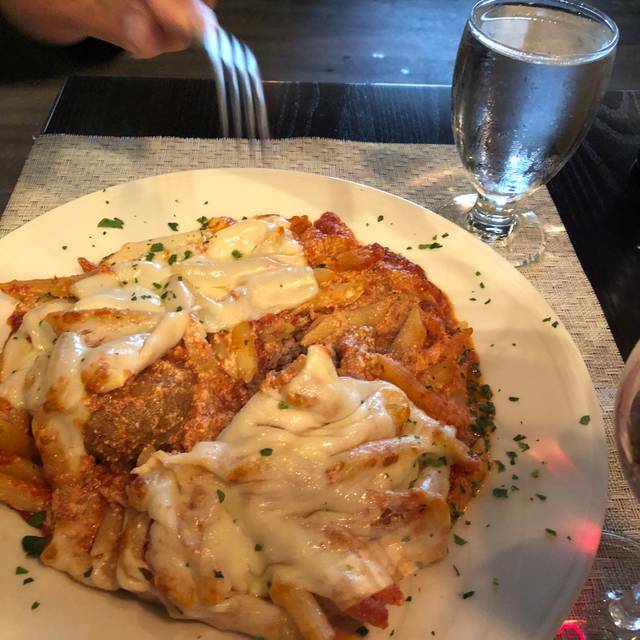 Tuscany Ristorante Italiano is a classic favorite among the locals and tourists alike. We are located at the corner of Longhill Road and Olde Towne Road in Williamsburg. We are a fine Italian restaurant that offers our guests a taste of true authentic Italian dishes. The restaurant is co-owned by Aldo Bertuglia and Kate Huff. Aldo is responsible for everything in the kitchen and Kate is responsible for the guests and front employees. We offer a magnificent selection of the finest authentic Italian dishes. We do not take short cuts. All of our dishes are made to order, which means that you can expect to have a dish where the ingredients and sauces are prepared and made on site after you place your order. 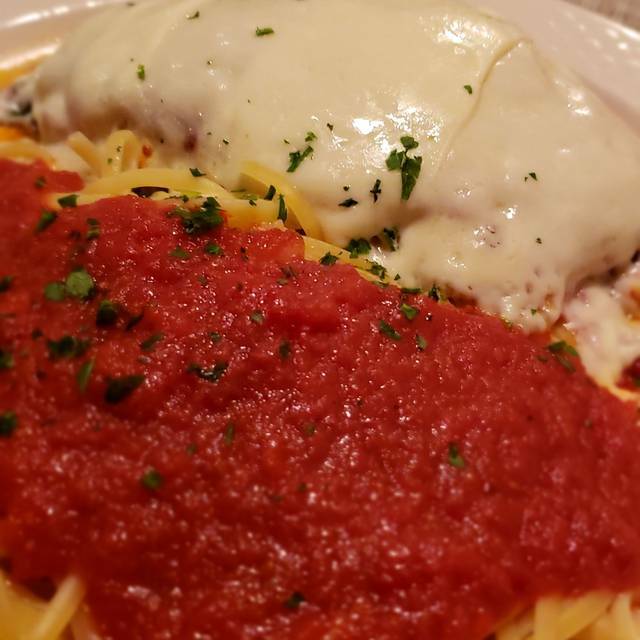 We offer more than spaghetti and meatballs. So do not be afraid to explore beyond your ordinary pallet. Have a glance at our menu and photo gallery (currently under construction) to see what tempts you. We stopped here one evening while on vacation. The food was very good. We ordered veal and a square margarita pizza for the table. The pizza was amazing, a must try! We enjoyed Easter dinner at our favorite restaurant! Solid mainstream Italian fare with attentive service in an appealing space. Don’t let the strip center location turn you off, this is a worthwhile spot. Wanted to take my wife out to a nice relaxing dinner. Found Tuscany thru Open Table and decided to make reservations.....GREAT experience. Discovered Tuscany Ristorante Italiano through Open Table and it was a pleasant surprise, and a rewarding experience. We visit the Williamsburg area at least twice a year, and this will become a regular eatery. The menu was fairly large and the specials offered interesting. We ordered from the main menu. The salads were ample, fresh and a nice variety of spring mix and accompaniments (My wife requested salad with Caesar dressing and croutons, but the server informed us after providing the salad that croutons weren't available - however, the offered Caesar salad on the menu stated with croutons). The interior was well decorated and clean, the staff very warm and friendly, and the food prepared well and tasteful. There were only a few other diners (one somewhat loud), but given the ambiance, staff and food it was easy to overlook. The restrooms were large, well appointed and clean. Although we didn't partake of the bar, it looked well stocked, clean and presentable. We will definitely visit again and recommend the Tuscany to our friends and relatives. Slow Monday night, our server was attentive and helpful. The carbonara was well designed and delicious. The special was Paella well balanced w excellent quality seafood and other ingredients. The protein pieces were large,tender and well prepared. Both meals were taken home and made for dinner the following night.the antipasto salad was different it was deconstructed and amazing. A great experience.. if we lived in the neighborhood we would be regulars. This was our first time going to Tucany's. It was my girlfriend's birthday and we wanted to do something special for her. I found a groupon for the restaurant and loved the reviews. Absolutely wonderful! The staff, management, food and atmosphere top notch! I cannot wait to go again! Good place to have a relaxing dinner. A lot of food in each serving! We went for lunch. The food was very good and the portions were much too big, so we had take out boxes for the next days lunch. The Grandma Pizza was excellent, but big enough for 3 people. Last night was our first time, We will be back! We enjoyed an excellent dinner here on a quiet Sunday evening. The food was delicious. 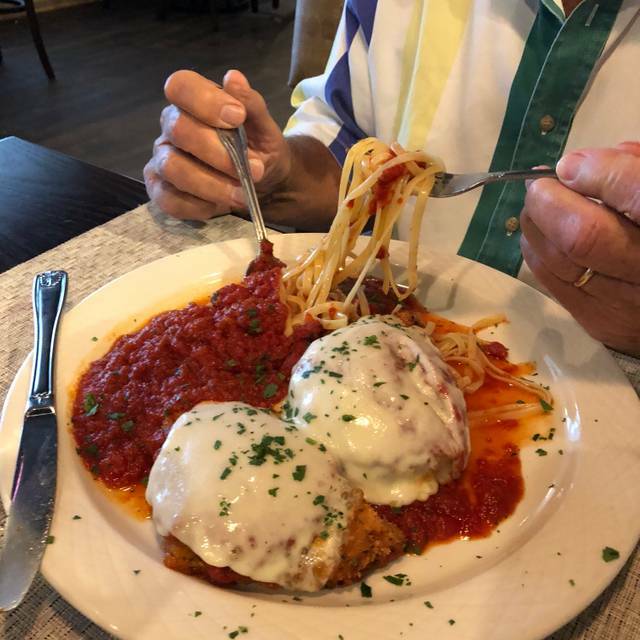 My grandson finished about half of his huge pizza (the remainder was a nice lunch for him the next day), my wife enjoyed her (also large) pasta dish and I thought my veal saltimbocca was great. Everything was prepared perfectly and the Marsala sauce was wonderful. The service was excellent too; casual but very professional. 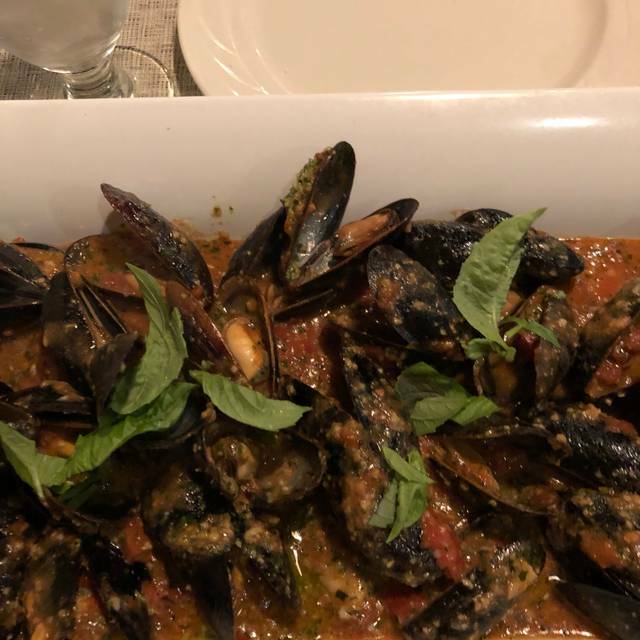 We chose this restaurant from the many Italian restaurants in the area based on its reviews, and we weren't disappointed. Highly recommended ! Tuscany is always a good "go to" restaurant; the food is very good and the service polite, quick and professional. As a vegetarian the staff has always assisted with my requests to hold the meat, seafood or such. Their salads are always good and very fresh. I would recommend it as a good restaurant. We made reservations via Open Table this time because it can get busy, we were lucky on this visit it was not; however they did not receive the Open Table reservation for some reason. Wait was very long but it was Valentine’s Day. Had reservations and they sat us about 10 minutes late which isn’t too bad but waiting on the food was where the review got a little bad. The food tasted great! But it took about an hour and 15 min from order to arrival. The Alfredo was very runny and very creamy rather than cheesy which my girlfriend could not stand but i could have eaten. Not the best Alfredo or service but other than that it was an okay experience. Maybe we will come back on a regular night to try again. Arrived for 8pm reservations and had to wait 15 minutes for a table. After that the delicious food and incredible service more than compensated for the earlier inconvenience. Great experience. It was Valentine’s Day and they were packed. Everyone there worked well under pressure. The hostess made everyone feel comfortable with waiting for their reservation and our waitress could not have been more polite and efficient. Noise level was a little high at times but mainly because they were so busy on Valentines Day. Food was great other than the Caesar salad dressing being a bit bland. Wait time for the food was a little long because it was so busy. Delicious meal and great experience. Anastasia was awesome as our server — as always. Place was packed and overflowing on Valentine’s Day, and the staff handled it extremely well as a near seamless team. Food was awesome but for me the portions were very large - impossible to go away hungry. There is much to like about Tuscany. It is located just outside of several neighborhoods making it very convenient for quick night out, but it is a lot more than that. 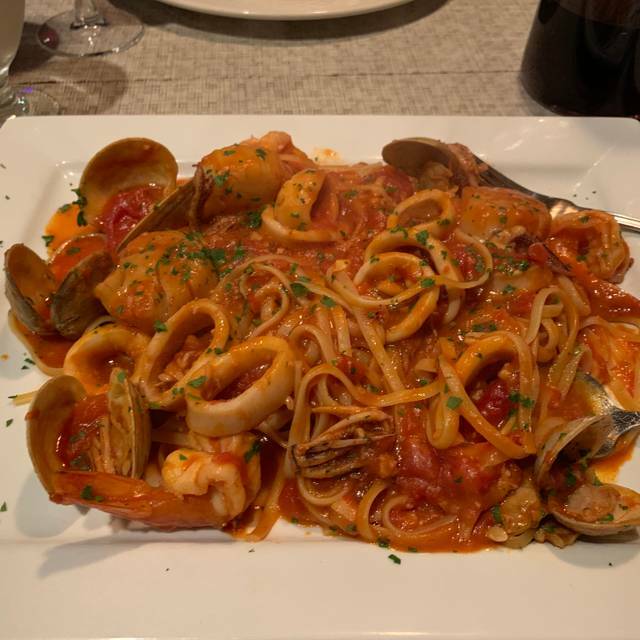 The food here is as good as or better than any other Italian restaurant in the area. The Veal Francese and Piccata are excellent and that is always my go to meal. The wine list is solid and also affordable. The service has always been good for either a large group or just a date night. It is unassuming and very understated from the outside, but it has a very nice feel and ambiance inside. Go give it a try, you will like it! We had a terrific meal. The food had wonderful flavors. Portions were great and our server was perfect! Nice place for a quick lunch. Their luncheon specials are reasonably priced and portions are a good size. Salad is extra except when you order the most expensive special. Service was good. Pasta sauce is very authentic. Garlic knots were good. Overall good place for a modest, inexpensive lunch that is good. Have dined several times. The meal has always been excellent - portions are large, think take-home. The service has been spectacular. The space is very open, with a bar area adjacent so, depending on the number of customers, the decibel level could be less than optimum. Handicap accessibility is ok but not great. Three eating areas have steps to them. Great food. Large portions that are good for next days lunch. Prices are very good for what you get. Service was good even with a large crowd. Excellent food and service!!! Alwsys consistent and fresh. very good but not special. Very good food, but needs better ambiance, turn down the lights some, felt like a diner. Superb food and the service is always great as well. Christmas Eve Dinner with Family - the portions were very generous and we thought the food was delicious. 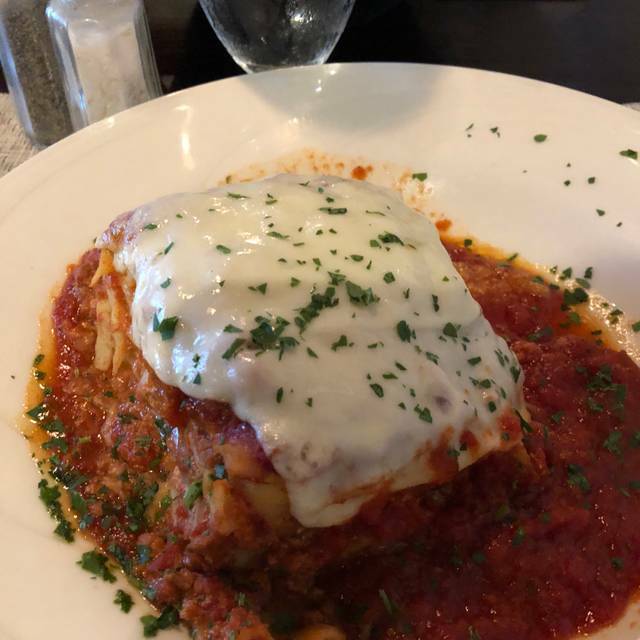 The best Italian food I've ever had!! We couldn't have asked for a better dinner. Our waitress Anastasia was fantastic! We will be back again soon..
Four in our party would give this spot 5 stars each. The food was good, service somewhat better than in the past. The wines by the glass are not of good quality. Tuscany should consider offering some of better quality.